In this episode, the girls give progress reports on their 2014 “goals-ish”. Check out Stash Dash 2014! To enter the One Twisted Tree project bag contest, please be a member of the group and post in the contest thread in the Ravelry group by July 17th what you like to see in a project bag. The randomly-selected winners will be drawn and announced on that week’s episode. Danie finished her handspun TGV! She can tell where her plying improved throughout the skein, but it’s a gorgeous shawlette and she’s happy with how it knit up. Susie finished her Tan House Brook Shawl and any doubts about the highly variegated yarn in the pattern have been dispelled. She loves it. Susie pulled out her neglected Hitofude and cast on a pair of gift socks. Danie worked on her Zigzagular Socks and the most adorable Noodle. Danie got herself a box of yarn from Knit Picks to make kid sweaters. In this episode, the girls relive the good times they had at Iowa Sheep and Wool! Check out Camp Loopy 2014 Project 1 and Stash Dash 2014! To celebrate the grand opening of Danie’s Etsy shop One Twisted Tree, the girls are excited to announce a contest! To enter to win a project bag, please be a member of the group and post in the contest thread in the Ravelry group what you like to see in a project bag. 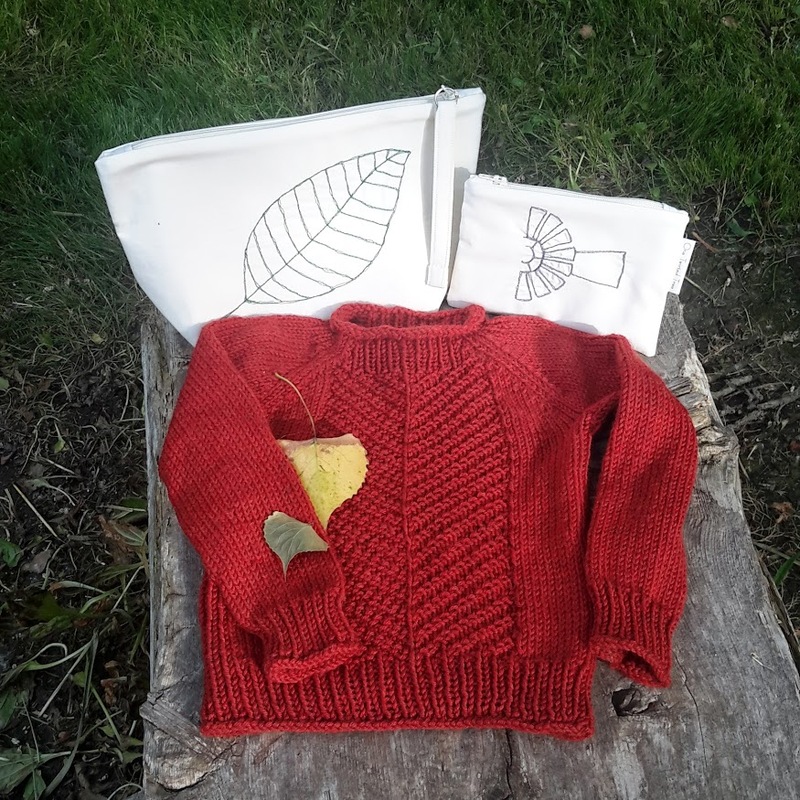 Susie finished her Bramble Fern and can hardly contain herself with the adorableness of this little sweater. She came in just under the Camp Loopy Project 1 yardage requirements, but it brings her Stash Dash 2014 total to 1962 yds. Danie worked on her Lintilla, and her Zigzagular Socks. She also went cast-on crazy and started a TGV out of her own beautiful handspun, a Featherweight Cardigan, and a Noodle. Susie worked her Tan House Brook Shawl, and is leaning towards adding an extra textured section since she seems to have the yarn for it. Susie came home from the festival with a t-shirt from Knit Bah Purl and yarn from Hidden Valley Farm & Woolen Mill, Yarn Geek Fiber Super Geek in Caroline Hershel, and Alisha Goes Around Unicorn Twist in a turmeric/cumin color. Danie also got a t-shirt from Knit Bah Purl, yarn from Morning Meadows Sundries LLC and Alisha Goes Around Unicorn Twist in teal and purple, and baby alpaca/silk/baby camel fiber. In this episode, the girls talk about beaded knitting. 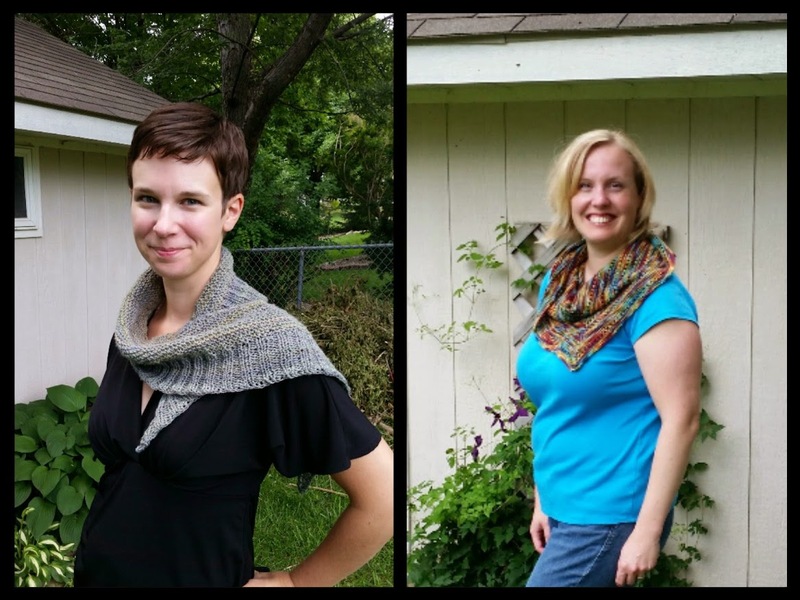 Danie struts her shawl stuff, and Susie publishes her first pattern. Links to YouTube videos on beaded knitting: one, two, three! Other mentions include Celestarium, Susie’s Henslowe, and Kelpie Fibers’ Etsy shop. Iowa Sheep & Wool is coming up June 14 & 15 in its new location at the Jasper County Fairgrounds in Colfax, IA. World Wide Knit in Public Day (Week) is June 14-22. Danie finished her Tan House Brook Shawl and it is stunning! This was her first foray into beaded knitting, and it was a roaring success. 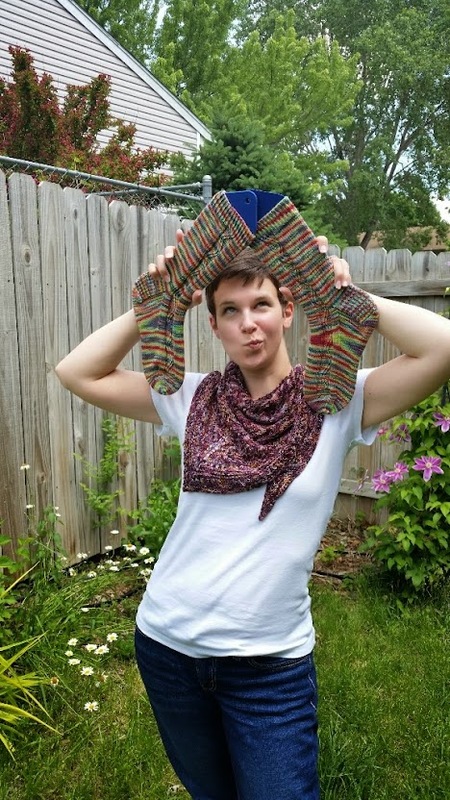 Susie finished her second pair of Zigzagular Socks and released the pattern as a free Ravelry download. Her Stash Dash 2014 total stands at 1599 yds. She was so completely wrong and actually has 3869 yds to successfully complete the Dash. Danie worked on her Lintilla, and her Zigzagular Socks. Susie worked a little on her Tan House Brook Shawl, and started her Bramble Fern for Camp Loopy 2014 Project 1. She’s roughly a sleeve-and-a-half in and is greatly enjoying the pattern. Susie scored some Knitterly Things Vesper Sock Yarn in the “Rainbow Oops!” one-off colorway.